Most tax crimes are prosecuted as felonies. If convicted you can be sentenced to prison for up to six years, be fined huge amounts and have your assets seized. If there is any possibility at all that you could be charged with a tax crime, you need to see an attorney who practices criminal tax law immediately. Don’t wait. Crimes related to the failure to file a return. The most common crime related to the filing of a return is criminal tax evasion, which, at the Federal level, carries a maximum penalty of 5 years in prison and a $250,000 fine for individuals plus the cost of prosecution. For taxpayers charged with criminal tax fraud for failing to file a return, the penalties can be almost as severe: up to five years in prison plus a fine of up to $25,000. In addition to the tax crime provisions of the Internal Revenue Code, CID is also charged with enforcing certain other financial crimes, including: money laundering, structuring transactions to avoid reporting requirements, and aiding and abetting another in the commission of tax evasion. Tax preparers who file fraudulent returns for their clients can be charged with aiding and abetting tax fraud. Given the fact that return preparer fraud is one of the CID’s top operational priorities for this year. The IRS completed 2,249 legal source tax crime investigations in 2014; these include what the IRS considers unscrupulous tax return preparers. If you are contacted by a criminal investigator with the IRS or Tax Enforcement Unit, the best thing to do is indicate that you do not want to speak to them, and immediately contact a Michigan tax evasion lawyer. Don’t speak to anyone who is not an attorney about your matter, as your conversations may not be privileged and confidential. A carefully crafted response from a qualified criminal tax fraud attorney can make the difference between being prosecuted for a tax crime and walking away from the investigation unscathed. While you are constitutionally protected against being forced to incriminate yourself, it is important to note that this right must be asserted or you will probably be served with a summons. If you do not comply with a summons, that itself is a criminal offense. 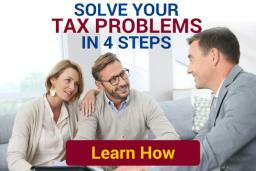 Can my CPA or Accountant Help Me? Conversations with an accountant, CPA or “tax professional” are not always privileged and the other party may be forced to disclose what you have said to them. However, conversations with a criminal tax fraud attorney, even one that you have not retained, are generally covered under the attorney-client privilege. Your tax fraud lawyer cannot be forced to disclose your confidential conversations to anyone. Although many white collar crime attorneys will take tax evasion cases, tax fraud attorneys are trained in and have extensive knowledge of the various provisions of the state and federal tax laws. Because the existence and severity of most tax fraud crimes depends on the amount of the tax evaded, a thorough understanding of the tax code is indispensable to comprehensive representation. Sometimes, the charge of tax evasion can be defeated by simply finding deductions and tax credits that the taxpayer failed to take advantage of, countering the effect of any omitted income or inflated deductions elsewhere on the return. A qualified tax evasion lawyer who knows the ins and outs of the Internal Revenue Code may be able to thus beat a charge of tax evasion. If you are under investigation, or have been accused of a tax crime, contact Ayar Law to schedule a free consultation to talk about how one of our Detroit, Michigan tax evasion lawyers can help.